Listen to Dallas-area music lawyer Tamera Bennett and Los Angeles film lawyer Gordon Firemark discuss the latest entertainment law issues on the Entertainment Law Update Podcast. Click the arrow below to listen or click the "Apple" below to subscribe in iTunes. 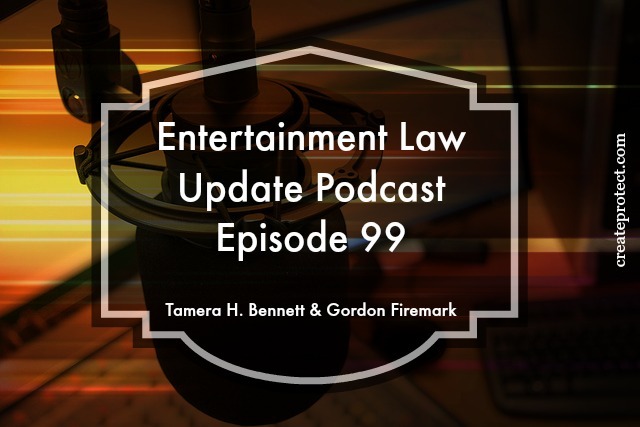 In this episode of the Entertainment Law Update Podcast, Tamera and Gordon discuss the latest news and cases involving copyright, trademark, film, TV, and other entertainment law issues. These cases and much more on this episode of the Entertainment Law Update Podcast. Please leave us listener feedback at the iTunes store. Your comments will help other folks find our podcast. This post contains affiliate links. That means if you click a link I may receive a benefit. Listen to Dallas-area music lawyer Tamera Bennett and Los Angeles film lawyer Gordon Firemark discuss the latest entertainment law issues on the Entertainment Law Update Podcast. This episode is also a wrap up of some of the top cases and topics discussed in 2018. How is Graffiti Like a Cheerleader Uniform? 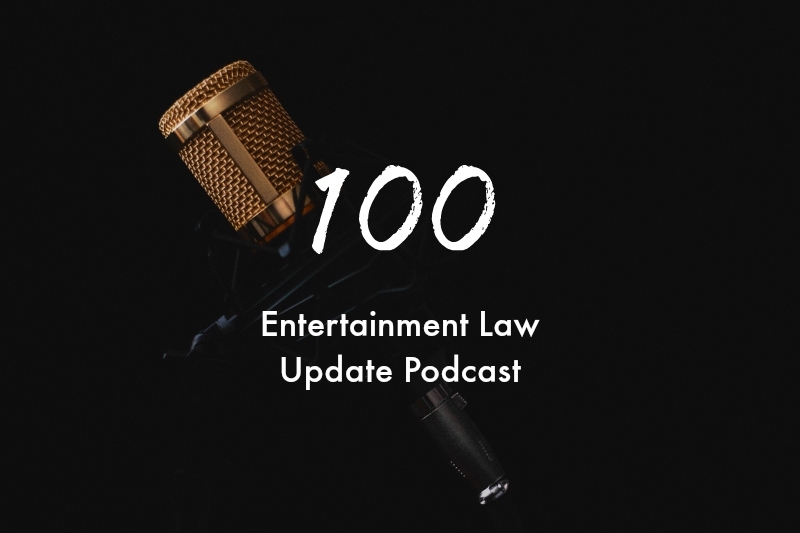 100 episodes later and the Entertainment Law Update Podcast is still going strong! Listen to Dallas-area music lawyer Tamera Bennett and Los Angeles film lawyer Gordon Firemark discuss the legal highlights from the past nine years on this very special episode of the Entertainment Law Update Podcast. Yes, we said "Righthaven" one more time. Click the arrow below to listen or click the "Apple" below to subscribe for free in iTunes. This post contains affiliate links. That means if you click a link, we may receive a benefit. This post contains affiliate links. That means if you click a link, I may receive a benefit. How Does VARA Protect Artists and Building Owners? Why in the world is there still more "Monkey Business?" This post contains affiliate links. That means if you click a clink, I may receive a benefit. Can Google be liable for alleged censorship? 2018 was full of fun and interesting entertainment law cases and issues. Listen to Dallas-area music lawyer Tamera Bennett and Los Angeles film lawyer Gordon Firemark on their annual year-end wrap up of entertainment law issues on the Entertainment Law Update Podcast. Sexual Harassment #METOO - Is The Industry Changing?